Should I Go For General Motors Diet Plan? Yes, you should and no you may not. Confused? Well, there are more than one ways to look at general motors diet and so you need to make sure that all these aspects are carefully considered. The general motors diet plan has been in existence for several years and has recently become a fad on the internet. In order to increase the overall productivity and efficiency of their employees, the employees were to go for this diet. This diet would help them get back in shape and be healthy again. For seven days, the person has to eat only selective foods and further drop down to as much as 10 pounds. So is it for you? Let’s take a look. On the day one you are on a complete fruit diet but the bananas are excluded in it. In the diet you need to consume fruits that are higher in water contents such as melons and the citrus fruits. On this day you need to have a lot of water, at least 8 to 12 glasses per day. You can also add cucumber to your diet on this day because of the high content of water. On the second day you need to add vegetables on the menu. Depending upon your taste pallet you can either eat them raw or cook them up. On the second day of your diet, you can also have a large boiled potato and consume a lot of water as well. This is the day you need to avoid fruits and dairy items. On this day, you should not have any lentils, eggs, or mushrooms. Cook the vegetables with items like bell peppers, cauliflower, onions, carrots, lettuce, cucumber, low fat butter and potatoes. Day one + Day two = Day three. Yes, you just need to combine the first two days of your diet on this day and you are good to go. This is the day when you will have more variety to enjoy your diet. The vegetables will be cooked or not cooked, and then you need to add fruits except bananas or potatoes. On the other hand, you should also never forget to load up on water. On this day, you are also not allowed meats, dairy, lentils and so on. Congratulations! You have completed half of your journey. If you are a lover of banana you will definitely enjoy your day today. You will be on a meager diet of bananas and you can add up to 8 bananas and add more four glasses of milk and lot of water to your diet. Just this is it for today, and nothing more than this will be needed. The day to have some grains along with some tomatoes and most importantly lean meat in the form of chicken, fish, red meat, cottage, cucumbers and curd. In this diet, you are recommended to have the GM diet soup during the dinner and this can consist of green peppers, cabbage, onions, celery, vinegar, pepper, herbs, and lemon juice. Make sure that everything is balanced well here so that you do not miss out on the wonderful flavors here. Today is the day to go wow. This day has a lot of options for you to enjoy. This is the day you can plan your meals around more lean meat, brown rice, uncooked or cooked veggies, Bengal gram, lentils, mushrooms, fish, chicken, kidney beans, and so on. However, this is the day when you need to avoid all forms of pork, beef, dairy, tubers, white rice, and fruits like bananas and mangoes. So close to the finishing line! You can seal your day by consuming a lot of brown rice, fruit juices, and vegetables. You need to avoid potatoes, sweet potatoes, mangoes, bananas, dairy, poultry, pears, non veg items, and also lentils, beans and mushrooms. So you are all done with your diet now. 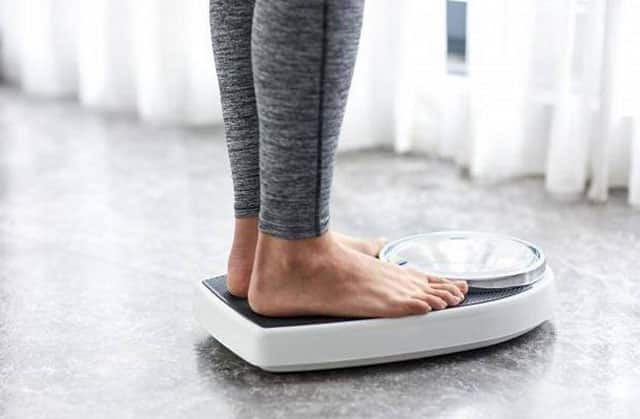 Go on the weighing scale and check where you have reached. Well, this is the day to rejoice because now you are back on your health goal track. If you carefully follow this diet you can benefit and experience weight loss according to your specific body type. Well, it is a personal decision really, but you need to make sure that there are no prior health issues that you are facing currently. For example, if you have sugar, blood pressure, or another such health concerns it is best to check with your doctor before you start your general motors diet plan. If you do not check with them and proceed, there are increased chances of experiencing a side effect and affecting the body negatively. The doctors will recommend some specific ways in which you can benefit in the long term and experience benefits. So make sure that you experience the best benefit in the long term with GM diet plan because it will not just help you now but also in the long term. However, one important thing that you need to remember is that it is all about following the diet on a daily basis for 7 days and after that have discipline in life so that you can retain the benefits. If you follow this course, it will help you in a really long term. GM diet will help you with weight and health goals as well if you do it on a regular basis.